Investing in foreclosures is risky business. Growing up in the north I heard the old saying so many times when something sounded too good to be true “…and if you like that I have a piece of waterfront Florida real estate I like to sell to you!” It’s true, investing in Florida foreclosures is a risky business. It’s just like anything; once you know what you’re doing you can make a lot of money buying and selling Wholesale Investment Properties. Getting started you could really lose a significant amount of your investment if you’re not careful. Here is the list of things I recommend researching and being prepared for before you purchase your first investment. 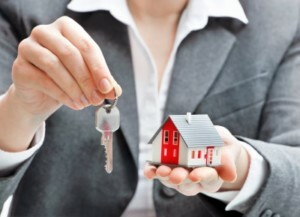 1) Real estate attorney real estate attorney is an essential part of buying Florida real estate. It’s never a bad idea to get a second opinion on a title search. The problem is that when you’re a rookie real estate investor, most real estate attorneys will not take your call and certainly will not want to give you free advice. Your best option is to approach several real estate attorneys and tell them that you are looking to become a real estate investor and that you will bring them many closing once your business up and running. 2) A real estate contract. The real estate attorney will help you with this. You can also talk to realtors and see if a realtor would be willing to share one of theirs with you. 3) Your local county property appraiser website. This is a source for a plethora of information. I use the Hillsborough County property appraiser website and the Pinellas County property appraiser website almost every day and sometimes several times a day. These websites are where the county makes available for the public, information on every property such as square footage, additions or alterations that it may been made to the house, as well as previous sales and sale prices, annual taxes, lot size, assessed value, and construction (block, frame, stucco, etc). You’ll be surprised how much information is on these sites and sometimes it almost seems as if they’re giving out too much of people’s personal information. 4) Hands-free technology for your mobile phone. Multitasking will be one of your most important qualities, having hands-free technology and being comfortable using it is an absolute requirement. I spend my entire day doing at least two things at the same time I’m on the phone while I’m traveling, talking to people while I’m uploading properties to Internet marketing websites and sometimes even talking with potential buyers and sellers while I’m at the grocery store. 5) Another huge asset for a real estate investor/wholesaler is Siri or some sort of digital assistant. Siri has become a second, full-time assistant for me. I use Siri to make phone calls while driving, I use her to read my text and e-mails to me if I’m in the car and she’s also very handy for quick Internet search. A) You can use your license to collect a commission on any house you buy. C) When you buy houses, you can list them for sale yourself on the MLS. D*) What some people consider the drawback to having a real estate license is that you have to disclose to potential buyers and sellers that you are licensed realtor, and there are also fees associated with maintaining a real estate license. However that has never been a drawback for me. 7) A network of people who are also involved in investment real estate; Foreclosure attorneys, property appraisers, handymen, hard money lenders. In the 14 years I’ve been in this business I’ve seen that every successful person has a network and is always building that network. What that means is BE NICE TO THE COMPEITION! You don’t want to treat the competition as if they are an enemy. You want to treat the competition as somebody you can do business with, and they are! Don’t hesitate to contact the biggest wholesalers in your area and ask them about their business and how you can do business with them. You need to be genuine, and don’t go in there expecting to learn their secrets because they won’t tell you secrets. What they will tell you is the types of properties they’re looking to buy and sell. Maybe you can become a bird dog for them to jump start your investment career. You have to start somewhere. I’ve said before “those who don’t know teach and when it comes to investment real estate those who do know don’t teach!” They don’t want to give away their secrets! It only makes sense that if you find a way to use investment real estate to become extremely profitable that you will protect your business secrets and strategy. It takes time and you have to be patient, be willing to start at the bottom and be the small guy. You are not going to get rich on your first day! 8) The real secret is you have to be prepared to work hard. You’ll see a lot of real estate gurus talking about how their wholesaling software will provide you a very easy, passive income lifestyle. However successful wholesalers that really make a lot of money are the people that are not afraid to work hard and be very persistent. Making lowball offers on every house on the market is not the best way to become a wholesaler. The person who buys the most houses is the person who makes most phone calls and continues contacting sellers even after the house has been on the market for several weeks or months-even after their initial offer was rejected. Becoming a real estate investor is not like quitting a job, it’s like getting a new full-time job and owning a company at same time and there are a lot of headaches but the rewards far outnumber headaches.